A federal worker named Bob recently called our local talk-radio station, outraged that a failed budget deal could cause a government shutdown that leaves him unable to pay his bills. He blamed Republicans, failed to mention that compromise also involves Obama and Democrats – and left out another important detail: if there is a shutdown, when it ends he will get paid retroactively. But when he and his fellow bureaucrats impose mountains of regulations, they cost businesses billions of dollars a year, kill millions of jobs, and leave thousands of families and hundreds of communities worse off, struggling to make ends meet. Those folks never get retroactive pay. The Obama/EPA war on coal has shuttered power plants and mines across dozens of states, leaving thousands unemployed. That’s left truck and equipment makers, tool shops, steel mills and other suppliers – from Kentucky to Ohio, Pennsylvania, West Virginia, Wisconsin and beyond – struggling to find customers. That impacts restaurants, grocery and clothing stores, schools, hospitals and other businesses: every lost mining or power plant job affects four jobs in other sectors of our far-flung economy. Reduced drilling, due to low oil and gas prices and the emerging EPA and Big Green war on natural gas, compound these problems. So does the Pandora’s Box of other federal regulations: ObamaCare, Dodd-Frank and FATCA financial rules, and seemingly endless EPA dictates on soot and dust, puddles and creeks, carbon dioxide and other alleged problems, often for minuscule or imaginary benefits. Complying just with federal regulations already costs American businesses and families over $1.9 trillion a year, and EPA alone is tacking on an additional $100 billion in new costs this year. EPA refuses to calculate how many private sector jobs all this has killed or kept from being created, or how many people’s financial, physical and psychological health has been bludgeoned when they are rendered unemployed and unable to pay their bills. Nor have any bureaucrats been held accountable for regulations that are based on ideological agendas, junk science or even outright fraud, or for abusing their powers to go after conservative groups (the IRS) or even members of Congress (the Secret Service). And now, EPA has slapped us with yet another hugely expensive final rule – on ozone. Just 18 years ago, the agency reduced allowable ambient ozone levels to 84 parts per billion (equivalent to 84 cents out of $10,000,000). In 2008, the Bush EPA lowered the standard again, to 75 ppb. But the Obama EPA wasn’t satisfied. In 2009, it said it would slash the standard to 70 or even 60 ppb. However, this action would have been a political atomic bomb, so the White House postponed the decision until after the 2012 elections. 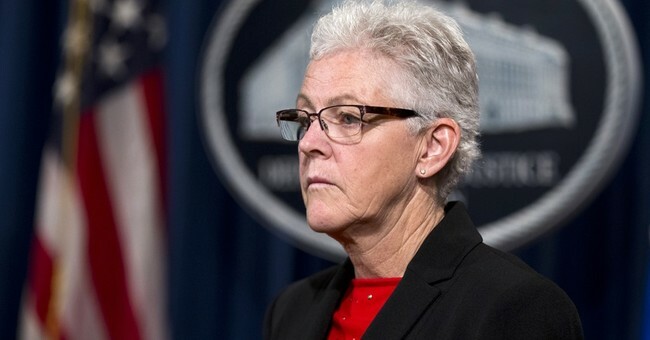 Then, under yet another collusive sue-and-settle lawsuit between EPA and rabid environmentalists, EPA promised to finalize a new rule by October 1, 2015. Now the agency has “compromised” at 70 ppb. A Business Roundtable study found that almost every US county met the 84 ppb ozone standard, and 90% met the 75 ppb standard. A 60 ppb rule would have put 96% of those counties out of compliance, buteven the 70 ppb rule will send many into noncompliance. It will hammer power generation, manufacturing and shale gas production, and raise electricity prices. To understand how draconian it is, Grand Canyon National Park is now out-of-attainment, at 72 ppb. So are Mammoth Cave National Park at 75 ppb, Rocky Mountain National Park at 77, and Great Smokey Mountain National Park at 79. Yellowstone NP barely slips under the new EPA limbo bar at 66 ppb. That’s because volatile organic compounds that are ozone precursors don’t come just from refineries, power plants, factories, automobiles and other hydrocarbon use. They come from volcanoes, hot springs and trees: deciduous trees emit VOCs on hot, sunny days; conifers emit them day and night. They also come from “clean, green” ethanol. A new NOAA study found that ethanol refineries emit up to 30 times more VOCs than originally assumed – and 170 times more than when ethanol is burned in cars. EPA doesn’t mention those inconvenient truths. It says its new standard will cost “only” $3.9 billion a year. That deliberately low-balled, out-of-thin-air number doesn’t even pass the laugh test. It is leagues removed from National Association of Manufacturers and other analyses that calculated a 65 ppb ozone standard would reduce America’s economic output by $140 billion annually and cost 1.4 million jobs lost or not created per year, for 25 years. Reality for 70 ppb is far closer to NAM than to EPA. The simple fact is, the 70 ppb ozone rule is yet another rock shoved in the pocket of a drowning man. A measly 142,000 new jobs were created last month. Over 40 million Americans are unemployed, under-employed or have given up on finding a job. Over 47 million are on food stamps. The labor participation rate plunged to 62.4% in September, its lowest since October 1977, on a mere 34.5-hour work week. In that EPA world, lives theoretically saved are concocted using higher pollution levels from decades ago, when ozone and other air contaminants really did affect human health. The faulty data are fed into a series of computer models, to generate garbage in-garbage out calculations used to justify regulatory edicts. But in the real world, aggregate emissions of ozone, particulate matter (soot), carbon monoxide, nitrogen oxides, sulfur dioxide and lead plummeted 63% since 1980. Refinery emissions of volatile organic compounds were slashed 69% between 1990 and 2013, ozone-forming emissions are projected to decline another 36% over the next decade, and ground-level ozone levels have already fallen by a national average of 18% since 2000. Meanwhile, reported asthma rates have risen – but not because of pollution. Today’s kids likely have more asthma attacks because they spend more time indoors, enjoy less time outside in the dirt, and don’t get exposed to enough allergens during childhood to reduce their immune hyperactivity and allergic hypersensitivity. They respond more readily to allergen exposures that would have caused few reactions in previous generations. Cold air can also trigger asthma attacks, as can higher pollen and fungi spore levels, and perhaps low-fat diets that reduce surfactant layers on lung tissues. In short, national-park-level ozone is not the bogeyman that EPA claims. However, the new rules will affect numerous states, counties, cities, industries – and highway safety projects that lose federal funding because natural sources, local emissions or even VOCs from China raise ozone levels above 70 ppb. EPA claims “only” 358 counties around the US will be pushed into nonattainment status by the arbitrary new standard. But even that is too many, and another 1,500 counties could be at risk if EPA begins monitoring their ozone levels. That will affect job creation and preservation, especially in metro areas. The National Association of Manufacturers, National Black Chamber of Commerce, American Association of Blacks in Energy, business owners and leaders, mayors, governors, state legislators, members of Congress, and health and traffic experts asked EPA to retain the 2008 standard. As Small Business and Entrepreneurship president Karen Kerrigan has noted, they pointed out that areas like Chicago, Gary and Denver, with large poor and minority populations, would lose tens of thousands of jobs, see average household incomes decline by hundreds of dollars a year, and be forced to spend billions of dollars to comply with the new standard. People’s health and well-being would decline, they emphasized, instead of improve. Kerrigan’s Center for Regulatory Solutions provided many more facts. EPA ignored them all, reiterated its false health benefit claims, and imposed the costly new standards. Affected parties should file lawsuits to prevent EPA from enforcing the new rule, courts should block the regulation, and Congress should delete EPA funding to implement this health-impairing program.